Now that calving season is all but wrapped up (Northern producers, don’t be haters), we are starting our Spring round of vaccinations. It makes for some messy, long work days, but we only do this twice a year. Once in the Spring once calving is about finished but before hay season starts, and in the Fall for calf weaning and preg checking. In our Spring working we administer vaccinations for a variety of diseases that affect cattle in our area and dewormer to rid of internal parasites. This is also a good time to castrate and tag any calves that may have been missed at calving (but I don’t miss any). We are also sorting a few herds for better pasture and bull management. I once had someone ask if I felt like a doctor, drawing up all this medicine, using syringes and needles. My response? Not really. Sure I have learned what all of the medicines and vaccinations do, but I don’t feel like a doctor. 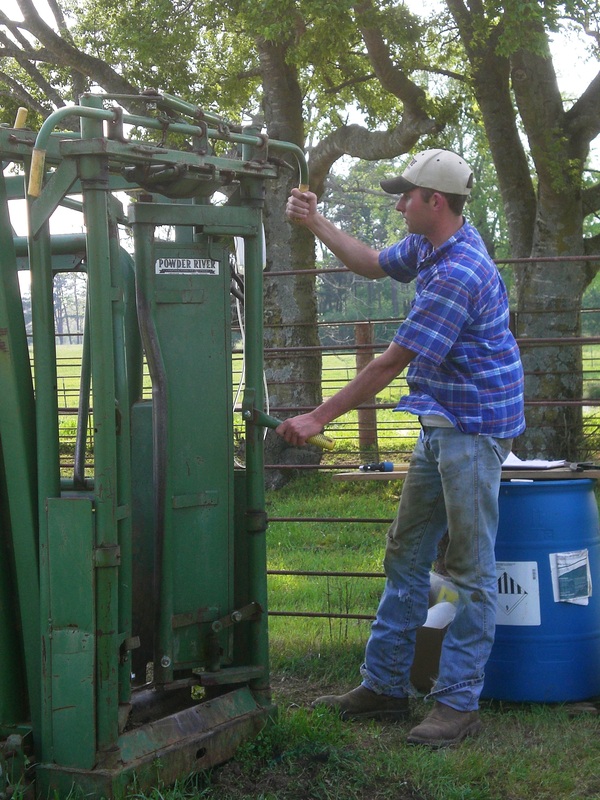 It’s a part of taking care of my cattle that I have known all my life. First we’ve got to catch the herd of cows we intend to work. This is usually tricky becuase if they notice the slightest thing different they get suspicous. Most of our pastures have smaller catch pens, so I will tease them with some feed a few days in advance. Once caught in the pen, we are good to go (until something jumps a fence or a gate comes unlatched!). Then we sort off the calves so we can put the cows through the chute without them getting in the way. We will work them after the cows. 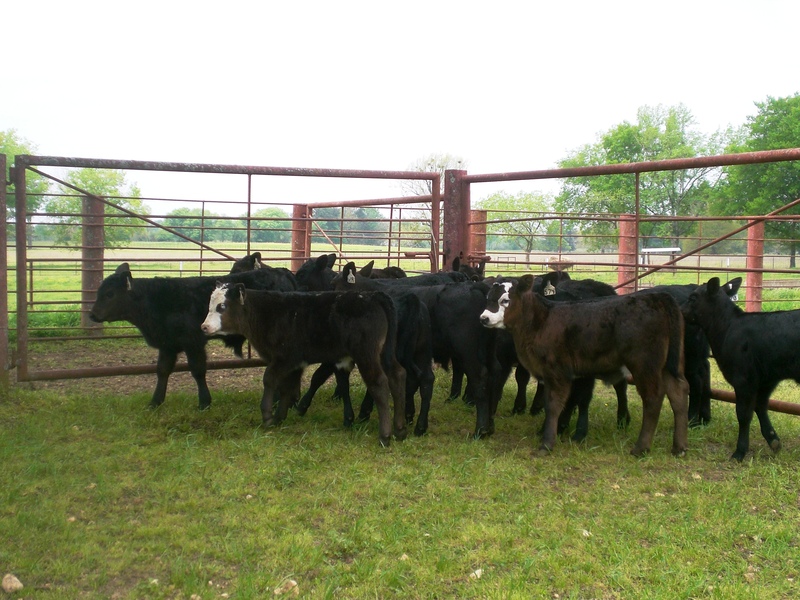 These lil calves can kick often and high so watch out. They are a lil squirelly and slippery too. We usually push them up the alley to the catch chute one or two at a time. This will keep them from turning around in the alley and help things go more calmly and safer. But you can expect to get kick, feet stomped, pooped on, and slobered on. 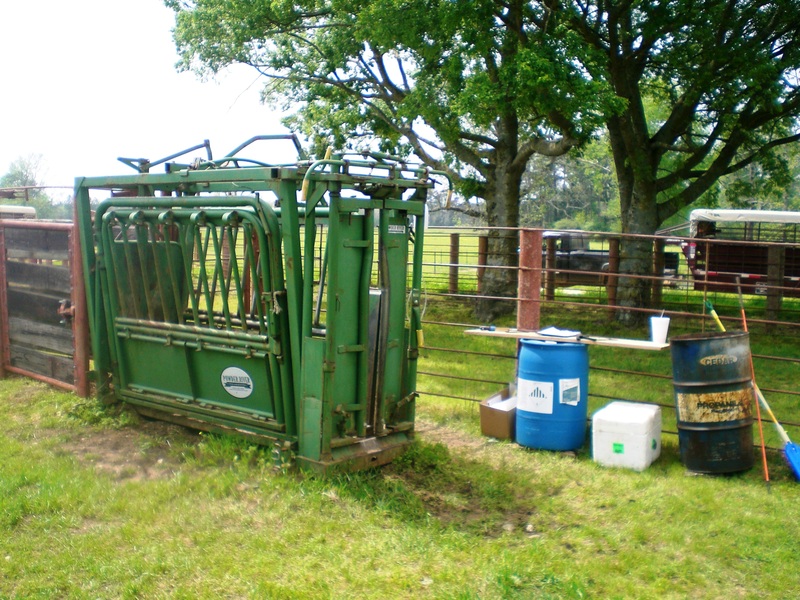 This is our squeeze chute where we catch cattle while giving vaccinations. The chute doesn’t hurt the cattle but keeps them calm and quiet while we administer meds. Dr. Grandin describes it as a big hug. As you can see my table set-up is not too fancy. One barrel for the trash, a sharps container for needles and syringes, and a 1×6 board as a table for syringes and paperwork for recordkeeping. Then there is the cooler to store vaccines. It’s important to keep our medicines cold when not in use. So I keep extra bottles and ice packs in there. Then it’s off to work! We keep our cows shade and water on warm days. 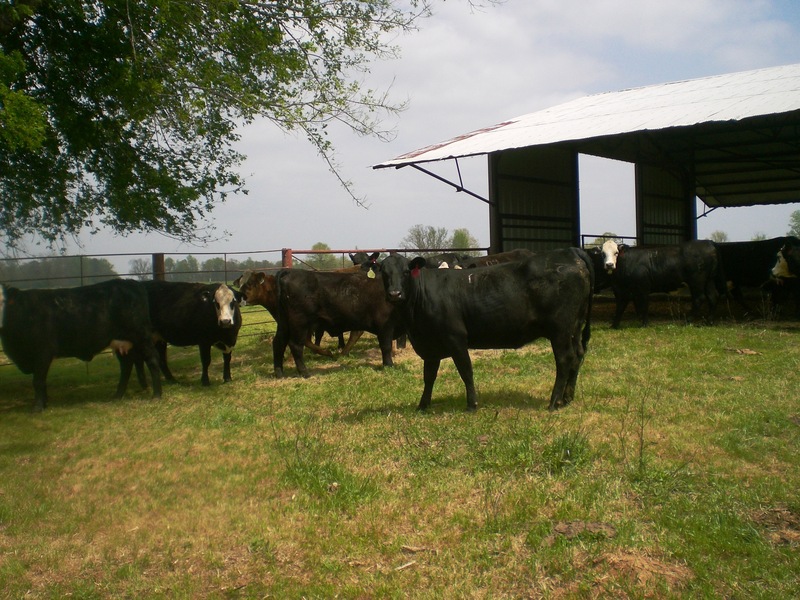 Less stress equals happier cattle! Great post. Some of my non-ranching buds don’t know what it is we do when we “work cows”. This is almost exactly what we do. I am curious about your vaccines. We give an 8-way (blackleg) vaccine, plus we give another shot of Leptospirosa (prevent miscarriages in grown cows) and Rhinovirus (respiratory problems). What shots do yall give? Im going to share this post with my friends. Thanks Jason! We give similar vaccines to our cattle. Today we’re planning on working another herd so I will take photos of some injections and plan on sharing more about our vaccines.